Quick, reliable and cost-effective detection of combustible gases and vapours in the ambient air: the microprocessor-based transmitter is the result of more than 40 years of experience in measurement technology. In addition, the Polytron 8200 can also be integrated into your digital fieldbus system, thus providing additional diagnostic functions. With its HART ability, the Drager Polytron 8200 allows remote access using the Drager PolySoft software for the quick and convenient evaluation of the instrument status. Integration in existing management systems (e.g. PactWare) is also possible using DTM. In addition, fieldbus systems such as Foundation Fieldbus or Profibus are supported by corresponding interfaces. The integrated type DD gas sensor functions according to the heat-ofcombustion principle. You'll be surprised by its long-term stability as well as by its poison resistance which is just as excellent - some of the reasons for its increased life time. Thanks to the innovative gas access design, the sensor responds to gas within seconds. This allows you to quickly take counter-measures, thus preventing a potentially explosive atmosphere. Drager has been developing and manufacturing sensors and gas detectors for industrial use for more than 40 years. And with each new instrument generation, we drive our measurement technology a bit further. With the Polytron 8200, you will definitely benefit from this experience and power of innovation. 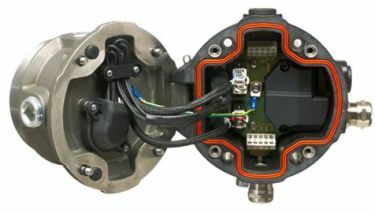 For the more sophisticated DragerSensor Ex...DD is also traditionally manufactured by Drager. The housing has four mounting holes. Two different mounting sets are available for installing the Polytron 8200: a duct-mount and a pipe-mount set. This means that the transmitter can be easily installed anywhere - e.g., on a smooth wall, a pipe or an exhaust duct. On request, the Drager Polytron 8200 can be equipped with three integrated relays. This enables you to use it as an independent gas detection system with two arbitrarily adjustable concentration alarms and one fault alarm. Audio alarms, signal lights, or similar devices can, thus, be controlled locally - without an additional cable between the transmitter and a central controller. The sensor signal can be evaluated using the 4 to 20 mA signal.